MILAN, Aug 5, 2011/ — Rapid cut-ups of swirling bodies, soaring arms, fabrics that flutter in the air: the new Missoni Fall-Winter 2011 campaign is designed as a sequence of events, the doubling and interpenetration of slender lines, exaggerated lengths, flared lines, weaves and squares, delicate prints and pastels. 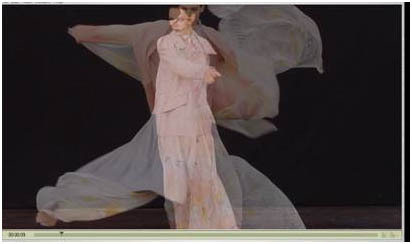 As a reinvention of choreographic “coils” à la Loïe Fuller and Martha Graham, the video by Mel Bles draws on modern dance and summarizes the spirit of the collection: the soft fluttering magic of chiffon and silk velvet, nuanced tricot and the delicate applications of feathers on knit lace, spectacular jackets, and accessories in snakeskin and suede. It is a collection that has been transformed into the fluttering of contemporary butterflies, a parade of evanescent sylphs, today’s real and intense angels such as Kinga Rajzak, Valerja Kelava, Kristina Salinovic and Kaitlin Aas.